The First Amendment is a pesky thing to politicians. It allows, nay encourages, the exact kind of diverse political speech that those in power loathe. Born out of the legacy of the Revolutionary War pamphleteers and their radical thoughts of freedom, today these liberty lovers take the form of citizen journalists utilizing the Internet to push ideas, advocate, report and uncover stories that aren’t being told, afflicting the powerful and holding them accountable. This has been at the heart of press freedom, not the corporate media empires that are often little more than government propaganda machines. 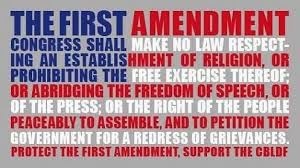 Now, Senator Dianne Feinstein (D-CA), not content to just continue her long running attempt to put a dagger into the right to keep and bear arms, is leading the charge to create a federal government sanctioned journalist licensing system that threatens the First Amendment as well. Her Orwellian titled “Free Flow of Information Act of 2013”, which is also known as the “media shield bill” has passed out of the Senate Judiciary Committee and is expected to gain the votes necessary to get out of the Senate. Proponents of the bill, are advocating that journalists be licensed by the federal government so that they can be protected from potential prosecution from a government insisting that their confidential sources be revealed. “The freedom of the press does not discriminate amongst groups or individuals—it applies to all Americans. As the Supreme Court has long recognized, it was not intended to be limited to an organized industry or professional journalistic elite. See Branzburg v. Hayes, 408 U.S. 665, 704 (1972) (the ‘‘liberty of the press is the right of the lonely pamphleteer who uses carbon paper or a mimeograph just as much as of the large metropolitan publisher who utilizes the latest photocomposition methods. Freedom of the press is a fundamental personal right[. ]’’); Lovell v. Griffin, 303 U.S. 444, 452 (1938) (‘‘The liberty of the press is not confined to newspapers and periodicals. It necessarily embraces pamphlets and leaflets. . . . The press in its historic connotation comprehends every sort of publication which affords a vehicle of information and opinion.’’). The Founders recognized that selectively extending the freedom of the press would require the government to decide who was a journalist worthy of protection and who was not, a form of licensure that was no freedom at all. As Justice White observed in Branzburg, administering a privilege for reporters necessitates defining ‘‘those categories of newsmen who qualified for the privilege.’’ 408 U.S. at 704 That inevitably does violence to ‘‘the traditional doctrine that liberty of the press is the right of the lonely pamphleteer who uses carbon paper or a mimeograph just as much as of the large metropolitan publisher who utilizes the latest photocomposition methods.’’ Id. The First Amendment was adopted to prevent—not further—the federal government licensing of media. See Lovell, 303 U.S. at 451 (striking an ordinance ‘‘that . . . strikes at the very foundation of the freedom of the press by subjecting it to license and censorship. The struggle for the freedom of the press was primarily directed against the power of the licensor.’’). Feinstein’s proposed licensing law might seem innocuous if not for the fresh stench of federal government targeting of conservative groups through the IRS, the Federal Communications Commission’s recent attempts to monitor news rooms, the spying on Associated Press reporters by Obama’s Department of Justice to gain access to their sources and most recently, the announced giveaway of First Amendment protections for those who use the Internet by the U.S. Commerce Department all of which serve as recent examples where this Administration has proven their enmity to dissent. Feinstein’s bill, when coupled with the U.S. government’s attempt to turn the Internet over to international control, represents a turning point in the relationship between the federal government and the free flow of information in the modern world. Under the Obama Administration’s proposal to give control of the Internet to unspecified international sources, citizen journalists will necessarily lose their First Amendment shield of protection from censorship. A censorship that is likely to first find its form in blocking ideas inimical to the unelected, unaccountable, unknown new Internet governing body’s group think. Ideas that are deemed “dangerous”, “hateful” or “offensive” to some arbiter of worldwide political correctness will disappear from the Internet as Internet Protocol addresses of “offending” parties simply vanish. Unlicensed political dissent, a critical component to the Web’s democratization of information that scares the elite who cling to power, is equally threatened by Feinstein’s attempt to create a non-protected class of journalists. The local blogger who has a buddy who reveals corruption at City Hall deserves the same right to be able to protect sources as the Washington Post reporter who dutifully regurgitates the latest Obama Administration planned Friday afternoon leak. The same whistle blower’s identity should be protected whether he or she talks to NetRightDaily.com, TalkingPointsMemo, or the Los Angeles Times. Failure to convey the same First Amendment protections to all people, whether they are paid or not for their activities, strikes at the heart of the basis of our nation’s most precious freedoms, and Congress should reject the Free Flow of Information Act of 2013. 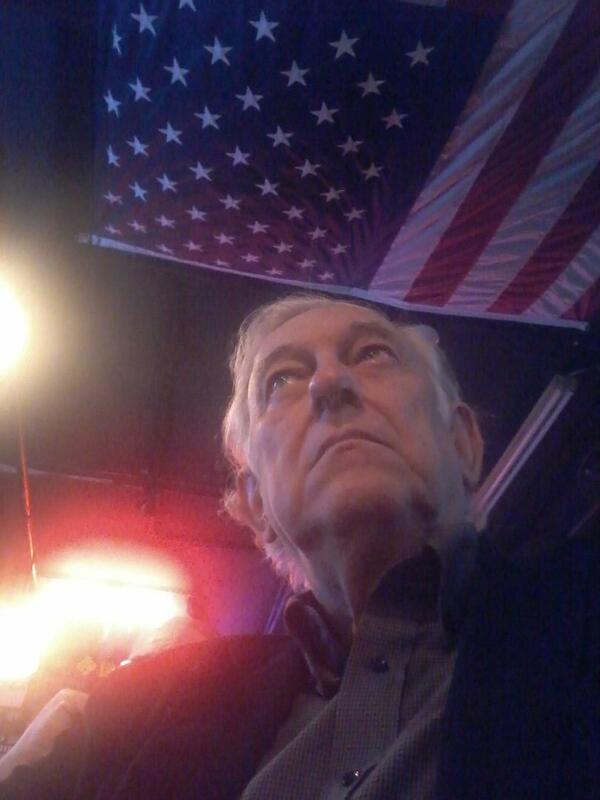 Rick Manning @rmanning957) is the vice president of public policy and communications for Americans for Limited Government. Reprinted with permission. Gail Kerr, RIP. Dead at age 52. Joe Carr: "Work hard, Nap Hard." "Stop App Think" anti-Amp song. Lerner takes the fifth in IRS scandal hearings. A plan to kill the AMP?